Camera Store TV have just posted their best and worst camera picks for 2014. There is some very good news for Pentax, and some not so good news. Let's start with the very good - they awarded the 645z their second best camera award (Sony A6000 took out the best camera award). This is great news for Pentax and the 645z, and Chris and Jordan have some very nice comments about it. That is 2 years in a row Pentax have taken this position, with the K-3 getting the second best award in 2013. 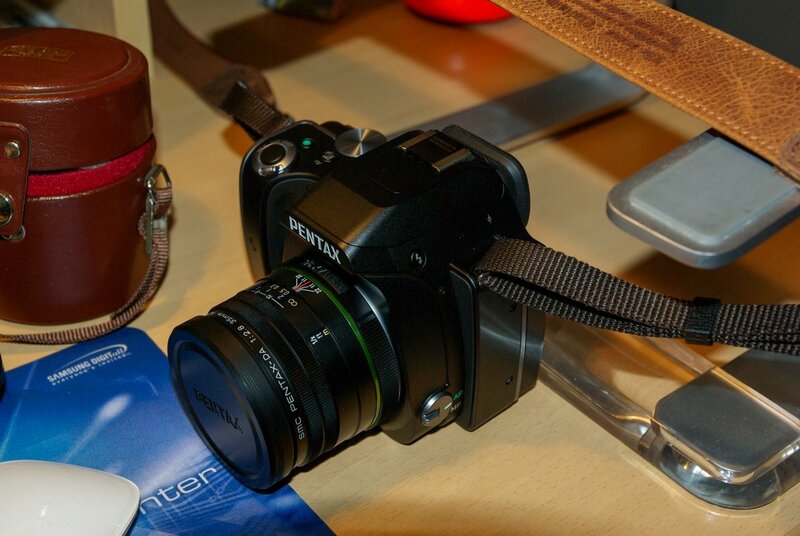 The not so good news - Camera Store TV awarded the Pentax KS-1 their worst camera of the year award. That is a rare accolade - there is a small redemption in that they list all the really good qualities of Pentax cameras in their review, and then state the KS-1 doesn't meet any of these Pentax qualities. Ah well, I have concluded that the KS-1 is aimed more at the Japanese and Asian market, than the North American and Australasian. I guess it just proves that Chris and Jordan aren't Japanese teenage girls - the lads really don't get the KS-1. Another interesting take on the camera market from the Camera Store TV team. Ouch! I have nothing against the K-S1 really, but I hope Pentax comes up with a true K-50 successor soon, so those who like "true" Pentax cameras get an alternative to the K-S1 that doesn't look too old. I don't understand why they choose the S1 as the worst camera. From the perspective of taking pictures, which is what we ultimately get a camera for, the pics of the S1 from what samples I see online look pretty good. I guess they choose it based on how it looks and not on how good the pictures look. Kinda shallow for them if you ask me. I tried the ks1 on hand, the grip is hard to grip, even from a k01 user. The mode dial is too big change, may only appeal to compact camera users. Think that's more down to personal taste, it does absolutely nothing for me. What's that? some random youtubers or a retailer's channel? OTOH it's far too easy to dismiss many Pentax products as garbage (and I made that mistake myself, I have to admit it), because of their looks or because of some deeply-ingrained and for the most part grossly inaccurate misconceptions and prejudices. Only a closer examination and a deeper understanding of all the phenomena involved brings to a fair assessment. I had the opportunity to hold the K-s1 recently at a trade show and while i think i have medium sized hands the camera was just to hard for me to get a good grasp on it. The grip is really to small and if you have some big mitts I don't think it will work for you. Like the concept but not for me. If you don't try to hold it like a DSLR then I think it can work for you. I think so too. 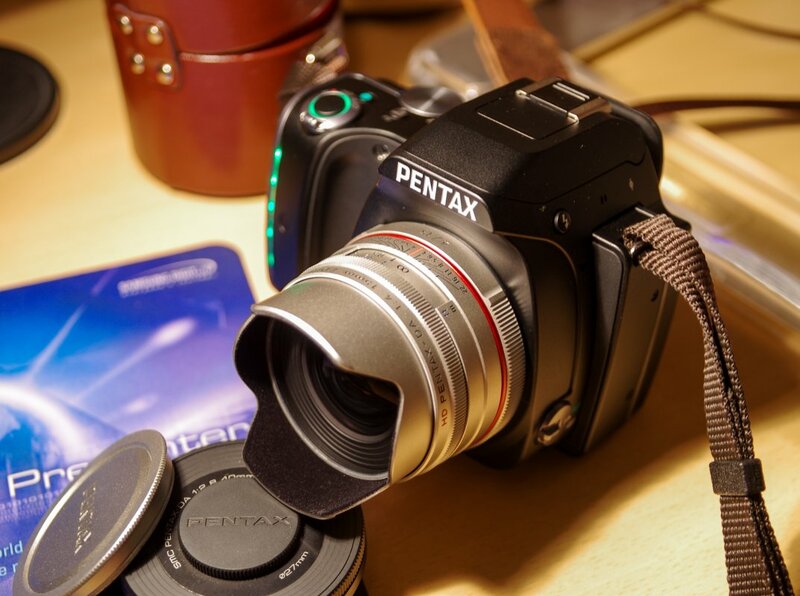 K-S1 is not Pentax spirit camera at all. Last edited by ogl; 12-11-2014 at 06:55 AM. They nailed it when they said, "...how can Pentax get something so right...and another so wrong?" It's the story of our Pentax lives. Keep in mind, Pentax made it clear the KS1 is not intended to appeal to the traditional user base (Read: all of us). It is intended to bring new users into the fold. Will it work? Time will tell. Still, it should not be weird that the KS1 does not appeal to us; it was never meant to. I do agree it it time for the K60 to be announced. February is my guess. The K-S1 is supposed to be for the Asian markets... but when was it released in Japan? It's almost invisible in sales statistics, can't find it on BCN and on kakaku.com it's #174 (Even the 645Z is better at #159)! But the Q7 is #9 on BCN! Only the standard CaNikon models are above it. Is CCSTV unbiased reviewers? They seem to be trying to be entertaining and don't look at the whole picture. That being said, the KS-1 looks like a big fail sales wise and look for big discounts (aka K-01) coming in 2015. If I understand correctly, the Pentax K-S1 is "awful" and "the worst camera" because they didn't sell many. Cameras that come in a lot of colours are hurt in these kinds of statistics, there's a different bar code for each colour. So, the camera overall could be their top seller, but these clowns would never know. There probably is someone, somewhere in the world, like the actual guy who see's the boxes go out the door, who knows what Pentax sales of this camera are like. And he's not talking.